A network of 65 Vietnamese bloggers are demanding that the country amend its laws to demonstrate a commitment to cooperate with the United Nations Human Rights Council on human rights before it can qualify to become a member of the UN organization. The group sent its petition to 17 major human rights and governmental organizations this week. The country is a candidate for the US Human Rights Commission for 2014-2016 despite the fact that it maintains one of Southeast Asia's strictest policies against dissent. On July 19, US State Department officials told a Congressional subcommittee that closer ties with Vietnam, in particular weapons sales, are on hold until there is "continued, demonstrable, sustained improvement in the human rights situation." Unfortunately, the UN has had a record of appointing some of the world's worst human rights violators to the Human Rights Council, including Saudi Arabia, China, Congo, Cuba and Qatar, causing the Bush administration to withdraw from the body. The Obama administration has returned to the organization, insisting on US membership since 2009. Certainly, concerns over human rights so far haven't slowed Vietnam's crackdown against bloggers. Police arrested yet another one on June 13, charging Pham Viet Dao with "abusing his right of free speech to undermine the interests of the State." According to the Associated Press, 43 dissidents have been jailed this year, twice the pace of 2012. "Vietnam must demonstrate its commitment to cooperating with the HRC and upholding the highest standards in the promotion and protection of human rights," the Vietnamese petitioners said in the document, made public earlier this week. "These obligations and responsibilities do not only apply on the international arena, but also inside Vietnam. The Vietnamese government also needs to review the human rights situation in their own country and the Vietnamese people also have a right to freedom of opinion and expression, including on these matters. 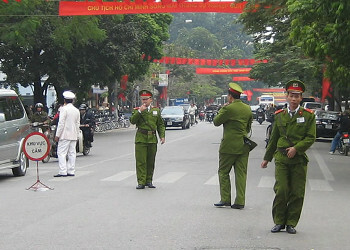 In order to fulfill these responsible actions, we call upon the Vietnamese government and the HRC to review Article 258 of the 1999 Penal Code, amended in 2009 - "crime of abusing democratic freedoms to infringe upon the interests of the State, the legitimate rights and interests of organizations and/or citizens." In May, two bloggers were detained right after they distributed the UDHR and police accused them of abusing democratic freedoms to infringe upon the interests of the state. Only weeks later, two other bloggers were detained after participating an outdoor picnic to discuss the content of the UDHR. 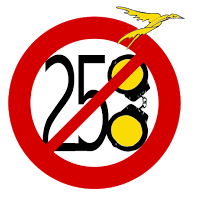 Most recently, in May and June 2013, Article 258 was used to arrest blogger Truong Duy Nhat, Pham Viet Dao, and Dinh Nhat Uy for exercising their rights of freedom of expression by peacefully publishing texts on their blogs. As said by Ban Ki-moon, UN Secretary-General - "All victims of human rights abuses should be able to look to the Human Rights Council as a forum and a springboard for action." As advocates for freedom of expression in Vietnam and victims of human rights violations because of our activism, we view Vietnam's candidacy for the HRC as a platform for constructive human rights discussions in our country.